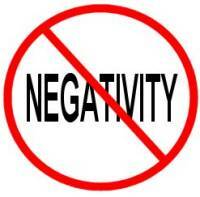 Negative people are an unfortunate fact of life. Whether it’s the coworker who is always complaining about the company or the sister whose judgmental remarks make every visit an ordeal, they drive us nuts. Here’s the bad news: we’re not going to change them. But we can learn to react to them in ways that protect our self-esteem as well as our sanity. Steer the conversation in a neutral direction. Talk about books, movies, celebrities — anything that will stop the complaining or snarking. If a person is talking about a specific problem (the high cost of medical care, the amount of work she has to do), just listen to her and try to understand how she feels. If you want, ask if there’s anything you can do to help, but only if it won’t drain you. Don’t argue. That just draws you into the cycle of negativity. Complainers are likely to think that you’re trying to talk them out of feeling angry, and that can make them even angrier. You can just say “Okay” or “I understand,” and switch the subject. That can make them angry, too, but at least you’re not spending your energy arguing.